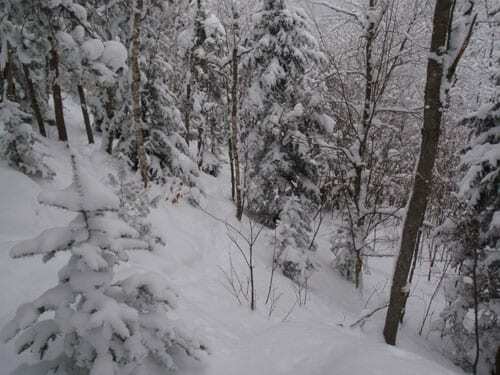 How things changed in a day for backcountry skiers. On Monday, I enjoyed a cruise through fresh powder on the Bloomingdale Bog Trail. It was nice and cold. On Tuesday, it warmed considerably, so I figured I’d try the trail to Moose Pond, another early-season favorite. Because it’s in the woods, I hoped the trail would keep the snow from the day before. It proved to be a fool’s errand. The Moose Pond Trail after the author skied it. 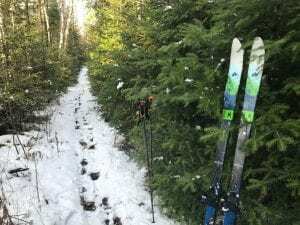 The trail is an old woods road that doesn’t need a lot of snow to be skiable. But it does need more than the inch or two that survived the thaw. What’s more, the fluffy powder of yesterday had turned to sticky stuff. It built up quickly on the bottoms of my skis. When I looked back, I saw patches of brown instead of ski tracks. After a quarter-mile, I turned around. I’ll go back after we get a little more snow. On the plus side, I passed a spectacular view of the McKenzie Range on the way to the trailhead. 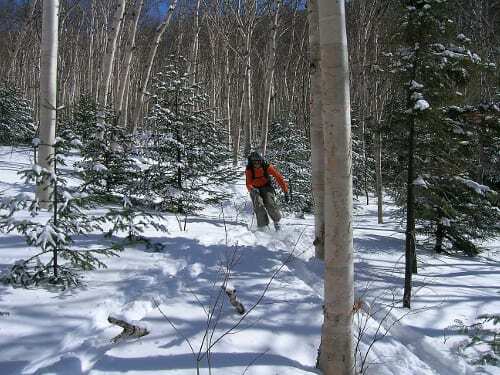 When winter does arrive, keep the Moose Pond Trail in mind if you’re looking for a short, easy ski tour. 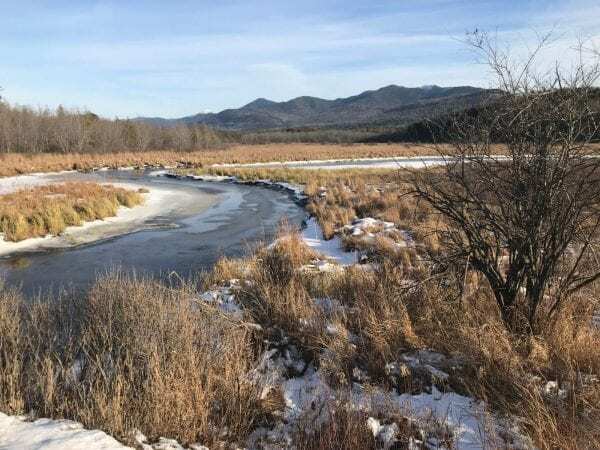 The road leads in a mile or so to the western shore of the pond, where you can enjoy a great view of the McKenzie Range with Whiteface Mountain in the background. When the pond is frozen solid enough, you can extend the trip by skiing onto the ice. The trailhead is off Route 3 a few miles north of Saranac Lake. 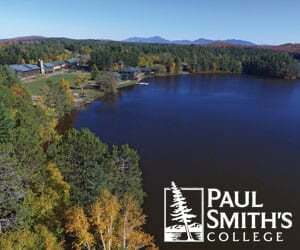 The trail is described in Tony Goodwin’s Ski and Snowshoe Trails in the Adirondacks, a guidebook published by the Adirondack Mountain Club. Great update on what’s going on out East. The West Coast is having a wacky start to the season as well. Most of our storms have been SUPER warm so all the good snow is way up high. Hope the weather gets a bit more wintry soon for you all.